Did you know that each year in the United States more lives are lost to home fires than there are deaths caused by hurricanes, tornadoes, and floods combined? According to the American Red Cross, on average 7 people die every day from a home fire, 36 people suffer injuries as a result of home fires every day, and over $7 billion in property damage occurs every year. Many people don't believe a home fire will happen to them and don't take the necessary precautions to prepare for one. 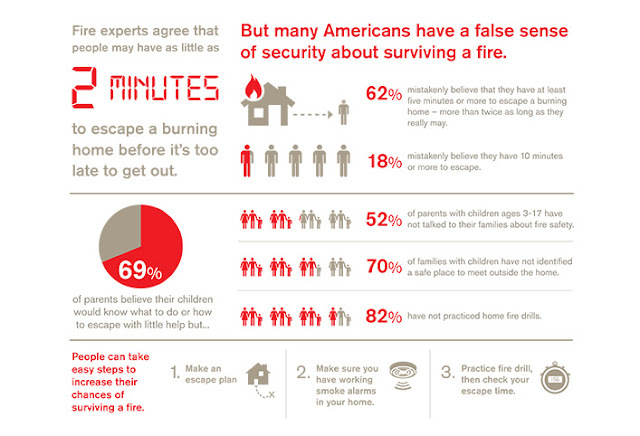 Would your family be prepared if a fire occurred in your home during the middle of the night? Understanding that many families aren't prepared, the American Red Cross is making it a priority to promote #firesafety through its new "2 Steps 2 Minutes" campaign. 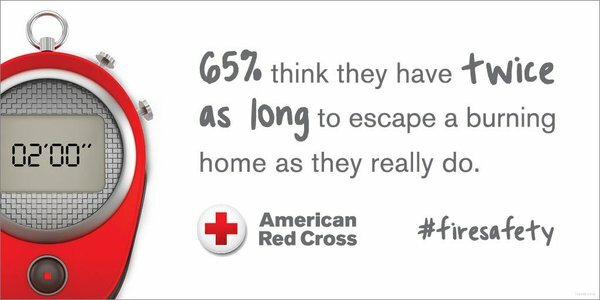 CLICK HERE to learn more about safety tips for home fires from the American Red Cross. To help the 2 Steps 2 Minutes cause, The Charity Network will host one-of-kind celebrity experiences across Prizeo and Charitybuzz where people's donations to the American Red Cross could win them prizes like meeting Sheryl Crow at an upcoming concert, a day on the set with Joey Graceffa, coffee with Matt Santoro or a prom makeover with Laura Marano. Additionally, Kelsea Ballerini, Alli Simpson, and Troy Sivan have teamed up to design limited-edition merchandise to support the American Red Cross as part of the 2 Steps 2 Minutes campaign. These can be purchased at RevealProject.com/2Steps2Minutes. For more information about the American Red Cross, please visit redcross.org or follow @RedCross on Twitter.